I also carried on the theme to the back of the pillow with a row of HST's. 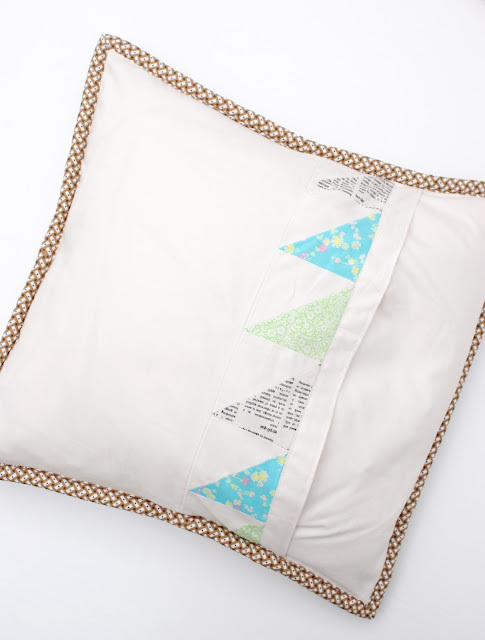 I used my simple envelope pillow tutorial to complete the back panels. p.s. 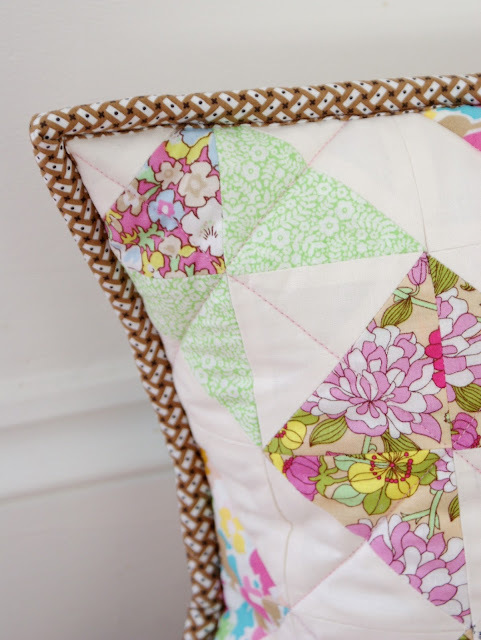 my Mama Said Sew fabric giveaway on Verykerryberry's blog is ending tomorrow morning GMT enter here for your chance to win!! This is such a yummy pillow, Jessie! 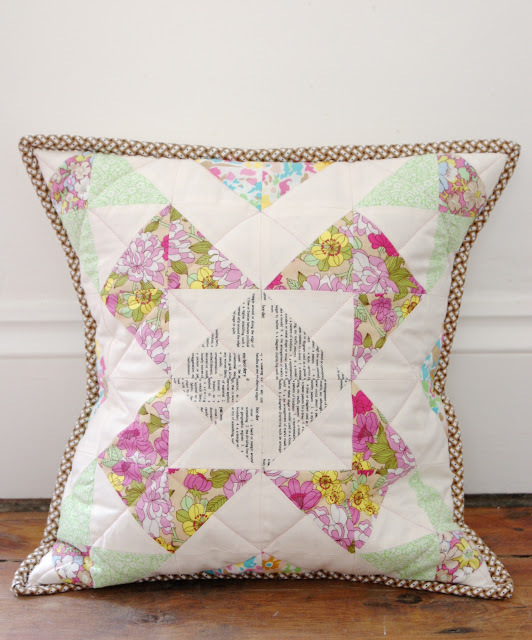 Love the text fabric together with the others, and the pink quilting! This is such a pretty pillow! And the brown binding is perfect!